Oregon’s Grove of the States is located at the French Prairie Rest Area (southbound I-5 at Milepost 281), near Wilsonville. The Grove is believed to be the oldest arboretum of state trees in the US and was originally a collection of trees from 53 US states and territories. The concept for the Grove was conceived and implemented by former Oregon Attorney General Robert Thornton in the mid-1960s as a way to honor Lady Bird Johnson’s Highway Beautification Act. 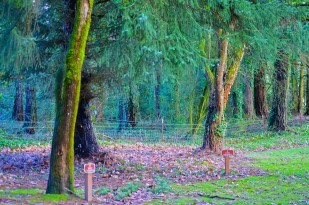 Due to the historical significance of the Grove for the people of Oregon, its health and vitality were addressed before more of the original plantings failed. When the Grove was first planted, no one planned for the fact that specimen trees would need adequate space and light to survive. 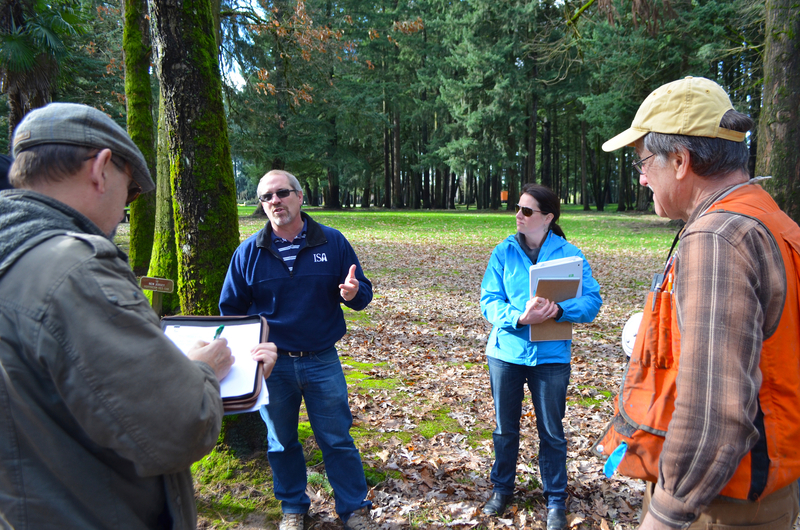 As a result, Oregon native Douglas-fir trees were encroaching the canopy of state trees and will be thinned as part of the process. 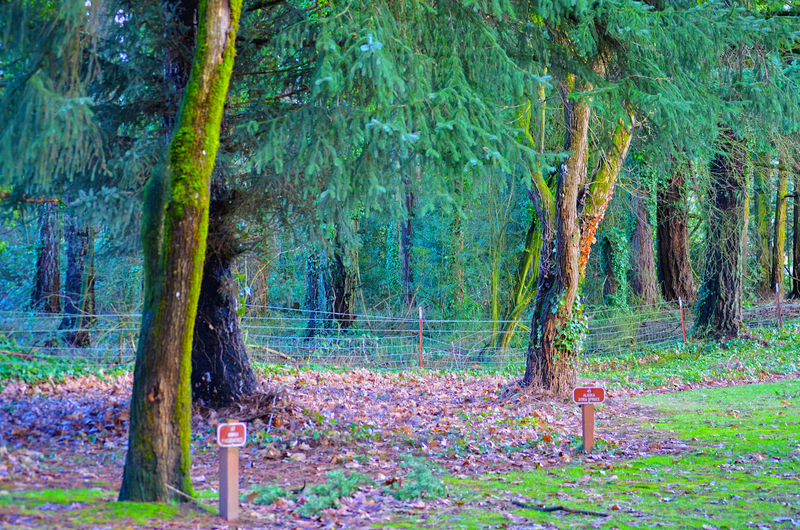 (Approximately 600 larger Douglas-fir trees will remain to grace the meadows near the Grove.) 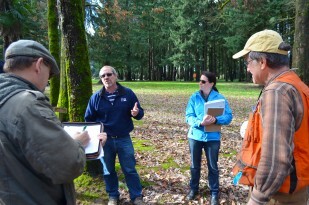 Project partners hope their plan to save the Grove will have a lasting impact for future generations—especially youngsters learning about Oregon history. Preserving this public green space creates an oasis of beauty for all to enjoy and welcomes travelers from all states. You are welcome to read the Grove of the States Restoration Media Kit (and other documents in the media and press section below) for a more detailed history about the Grove and its attempts to survive over the last 49 years. Improvements will include new historical interpretive signs, constructing new walking paths throughout the Grove, and expanding the original Grove footprint—creating even more shady green space for travelers. We hope you join us in the restoration efforts. Sponsorship opportunities abound—from corporate to individual and in-kind contributions, we have created an opportunity for your business name to be seen by millions of travelers who visit the Grove and French Prairie Rest Area each year. Sponsorship levels are listed in the Sponsorship Information section below. Quick glance facts: This one page fact-sheet bullets key points about the restoration project. Lists key project contacts for media. Extended press packet: The Grove of the States Restoration Media Kit (PDF) provides a greater understanding of the history of the Grove at the southbound French Prairie Rest Area. Grove of the States Logo: A downloadable jpg version of our logo. Please contact the OTE Communications Office if you require a tiff, png, eps, or other file formats. Aerial photograph: View an aerial photograph of the Grove and southbound French Prairie Rest Area, showing the original Grove outline and the restoration expansion. Become a friend of the Grove of the States! Sponsorships opportunities start at a modest price for individual trees and advance up the ladder for Platinum, Gold, Bronze, and Silver levels. 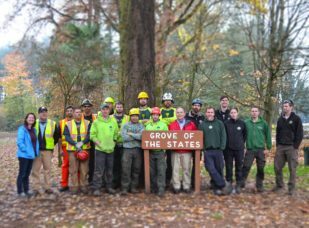 The sponsor program enables individuals, non-profits, and commercial businesses to contribute to the restoration of the Grove. View the Sponsor Level Chart. Depending on the level you choose, your business name will be seen by millions of travelers on new signs. Over two million travelers stop at southbound French Prairie each year. And this is the first time in Oregon’s history that sponsor names will be allowed within a state-owned rest area. As a sponsor, you will be our VIP guest at the 50th Anniversary celebration in August 2017. Dependent on sponsor category, your name, logo, and links to your business will be included in a variety of press releases or OTE produced Grove of the States printed materials. Download a copy of the Sponsor Letter (PDF) from OTE. Download a copy of the Grove of the States Sponsorship Packet (PDF) for more information about the benefits and perks to every level of contribution. If you have remaining questions about sponsorships or wish to contribute in other ways, please contact Annie von Domitz at 503-373-0864 or email Annie.